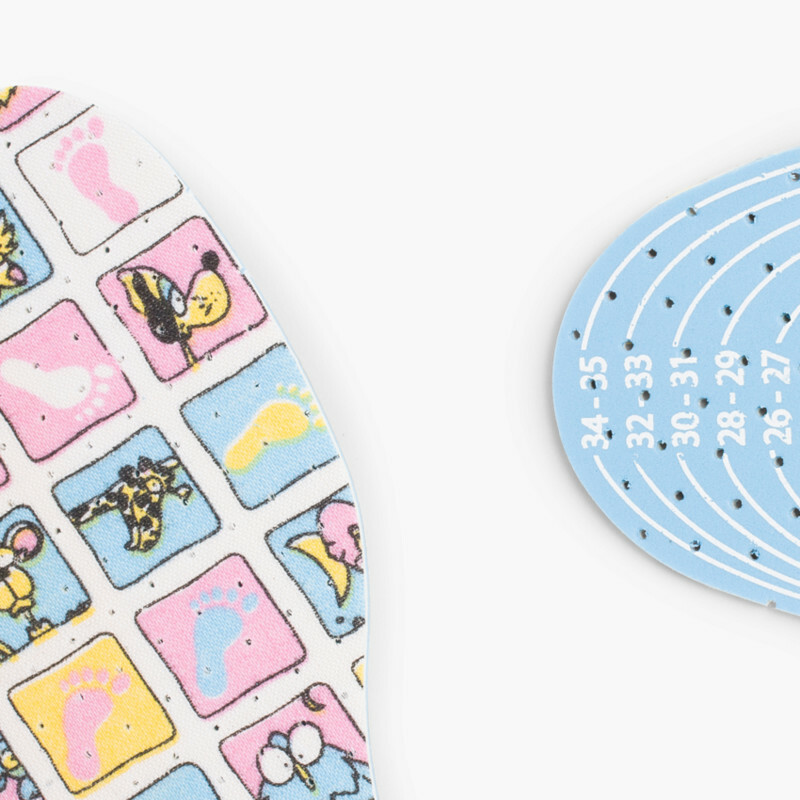 Comfortable and quality insoles perfect to soften and reducing friction to the children´s steps. Helps to fit kids´ foot changes. 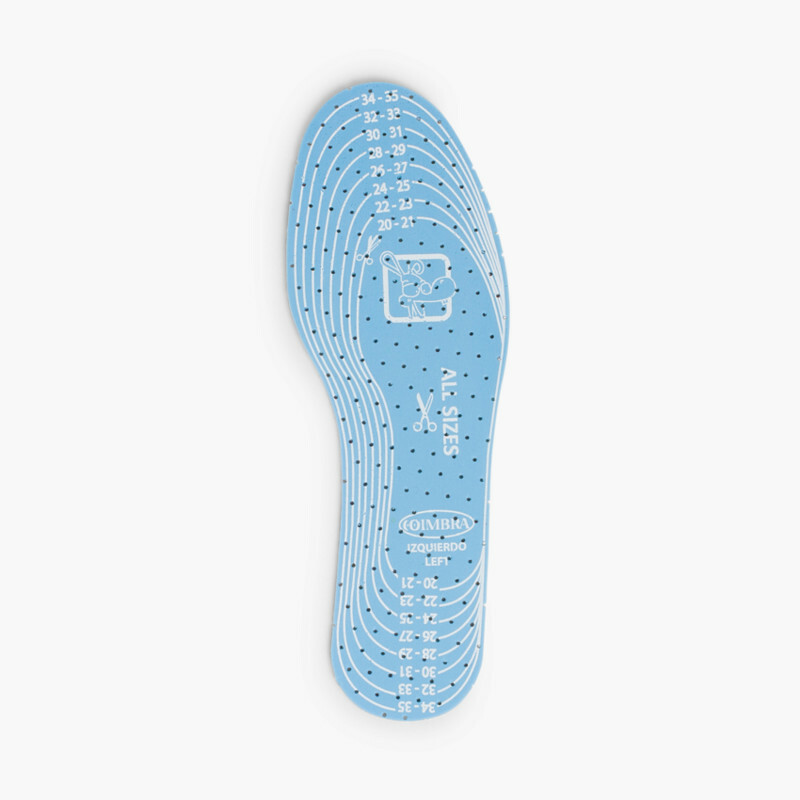 When using these insoles the foot will have better support and will fit better. Trim-To-Fit system, one size fits all. Suitable for kids' sizes 3.5C (EU 20) to 4 (EU 37). 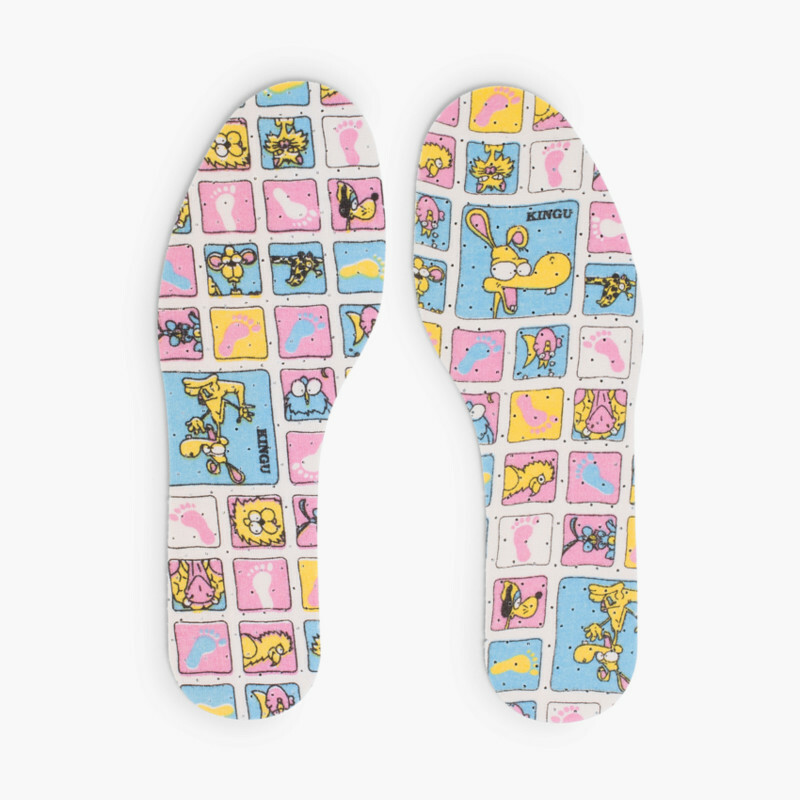 Includes right and left foot insert. Featuring and original print for children and perfumed with strawberry essence. 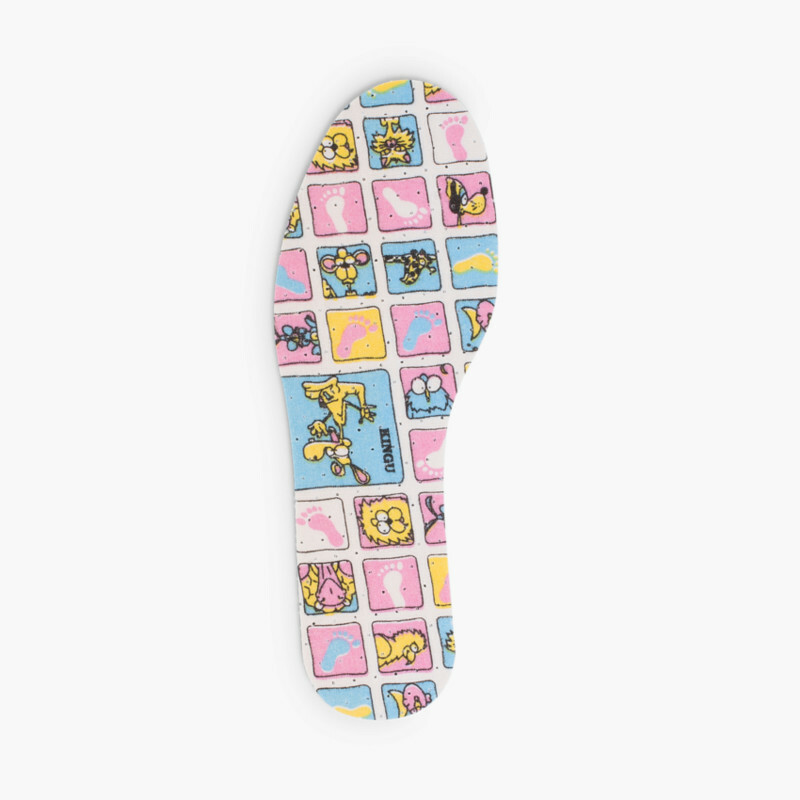 antibacterial top quality insole to ensure a proper children's foott health. Composition: 100% viscose. 3mm of latex -double layer.